London has always been a fashion capital filled with diversity and inspiration, a place where you can fully express yourself through fashion and you will always be accepted, no matter how avant-garde your choices may be. But as accepting as London is of unusual and trend-led outfits, it is also a place equally filled with sleek, businesslike looks. The most prominent trend that graced the streets of London during fashion month was a feminine, casual take on classic formal menswear. Fashionistas were seen in a different array of suits and two-piece outfits, mostly in the form of monochromatic looks, but always paired with a staple basic t-shirt and trendy New Balance sneakers. The carefully chosen silhouette of the suits gave these outfits a chic, refined look, while the clashing casual details made for a more relaxed, fashion month appropriate outfit. Known for iconic designers, such as Chanel, Dior and Saint Laurent, Paris is arguably the biggest fashion capital in the world, setting trends and new norms from the beginning of the last century. 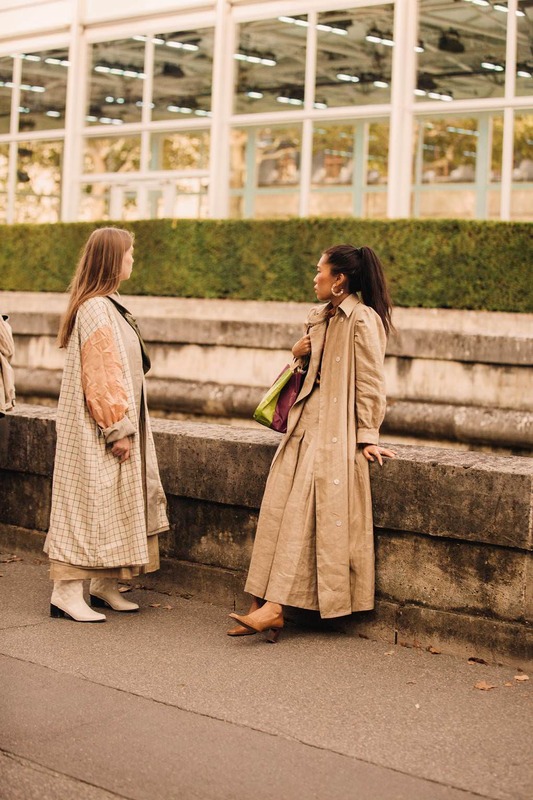 However, when it comes to style, Parisians aren’t always confined to the stereotypical French girl look, which truly becomes prominent during fashion month. 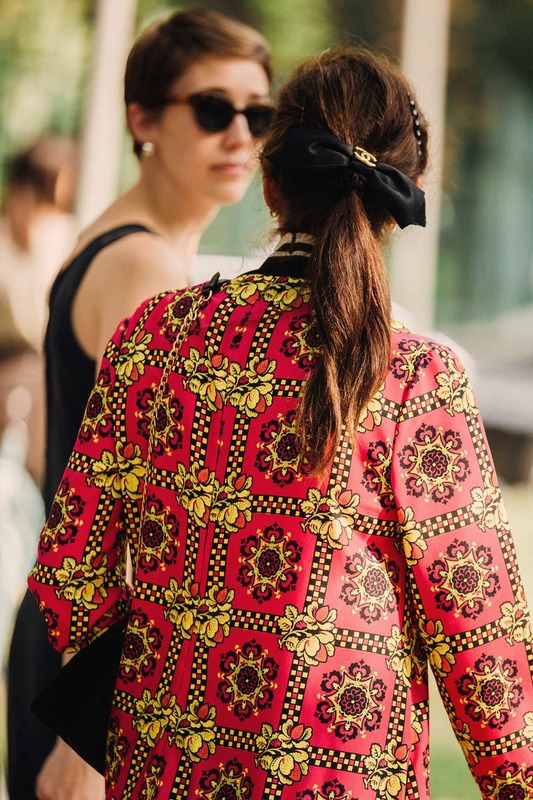 On the streets of Paris you will see everything from minimalist monochromatic outfits to over the top looks filled with clashing colors and patterns. But one thing that was clearly a trend in Paris this season was the essential classic turtleneck. When chosen in neutral colors, turtlenecks were styled mostly as a complementing layer under oversized jackets or coats. Some were also seen in bright colors and busy patterns, as an interesting pop of brightness and cheerfulness in an otherwise plain and simple outfit. Italy is home to some of the most well-known designers in the industry, including the likes of Armani, Versace and Prada, and Italians have embraced that fact completely. Although the street style in Milan is mostly simple, sleek and highly fashionable, no outfit can go without a prominent display of one the most famous local fashion labels, mostly in the form of statement-making details, such as logoed earrings, necklaces and belt buckets, as well as the classic option of elegant heels and handbags. The diversity of style in Milan is wide, but a constant theme is starting to present itself among the outfit choices of street style fashionistas. Neutral colors and classic patterns were almost always the base of any fashionable outfit, which gave room for play with unusual silhouettes and unexpected combinations, with an unavoidable touch of prominent designer details. New York is known for its extravagant fashion choices and bold outfits, both on and off the runway. A large variety of unexpected and experimental looks graced the streets of New York this season, from floating wrap dresses, to colorful suits and leopard-printed pieces. 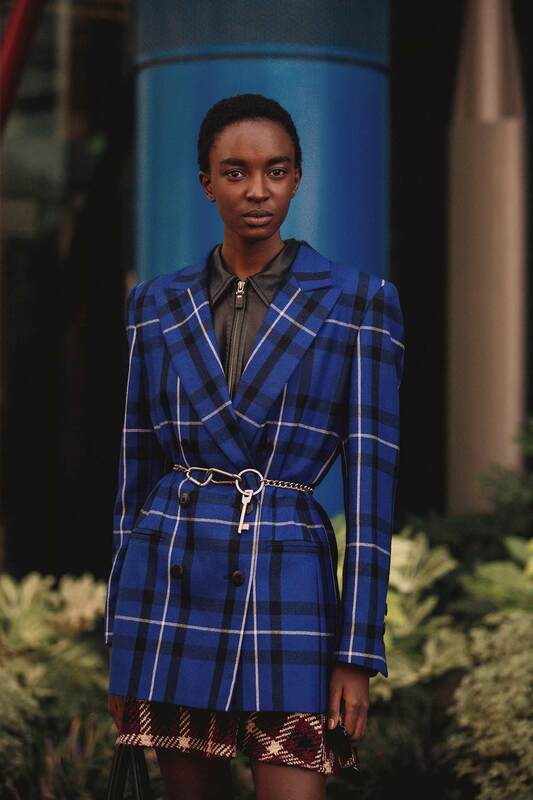 The revival of ’80 fashion continued in New York with oversized sleeves and shoulder pads carefully paired with modern pieces, like slip skirts, flared culottes, and even bike shorts. The color of the season seems to be fluorescent green, seen in the form of everything from statement jewelry to outstanding one-piece outfits, while piled-on accessories were an unavoidable part of any fashionable look. Whatever the case, the main message from New York’s fashion month street style is that it truly pays off to experiment with your clothes, have fun and not take yourself too seriously.